LG Harmony is the same device that goes as LG K20 on both Verizon Wireless and T-Mobile. Cricket Wireless now has it in stock carrying a price tag of $99.99 USD (plus the activation of a prepaid plan). 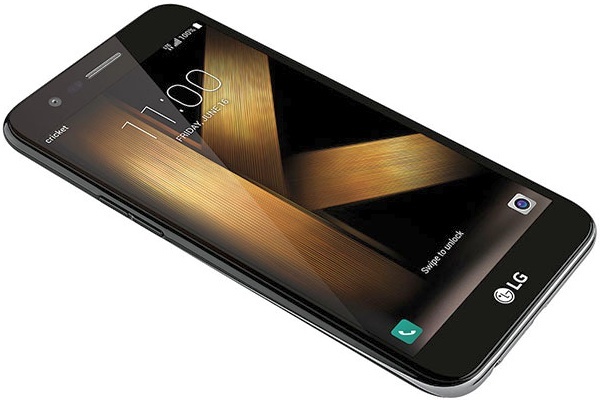 AT&T prepaid subsidiary Cricket Wireless has just added a new LG handset to its portfolio of low-end handsets. Dubbed LG Harmony, this is apparently just the LG K20 under a different name. LG K20 is already available via Verizon and T-Mobile, itself being a variant of the international LG K10 (2017). LG Harmony comes with Android 7.0 Nougat on board and uses the Qualcomm Snapdragon 425 processor, next to 1.5 GB RAM and 16 GB internal storage that can be increased as needed via a microSD slot. The 5.3-inch touchscreen is protected using 2.5D Arc Glass and has a modest resolution - 1,280X720 pixels. The cameras are also below average - 5 MP front and 8 MP back. At last, the 2,800 mAh removable battery also needs to be mentioned. Those interested can get the LG Harmony on Cricket Wireless for $99.99 USD, but a prepaid plan should be purchased as well. The list of available options includes 3 GB, 8 GB, 12 GB plans, as well as an Unlimited option. Their prices start at $30 USD a month and go up to a monthly fee of $60 USD.